Click here to view May events. Growing Tree will be celebrating "The Best Teachers in the West" the week of May 7-11th. Please check your email for details on how you can help. Thank you cards will be available at the front desk beginning May 3rd. Please pick up a card, fill it out, and post it to classroom door. Your words are the greatest gift to a teacher. We will be moving to our Summer Menus on May 1st. You can view weekly menus under the Menu tab on the website. Growing Tree is looking for 3-4 new Board Members for the 2018/2019 school year. Board meetings are held on the second Wednesday of each month from 6:00pm - 7:30pm. We ask that you attend two meeting prior to officially joining the board. Please reach out to Tammy or one of the current Board Members if you are interested. Meetings for new Board Members will begin in September. Please bring ta new bottle of sunscreen and fill out a sunscreen permission slip. Teachers have these forms in the classroom.Per OCC regulations) we cannot apply sunscreen to a child if we do not have a signed permission slip. Swim sign ups are completed. You can view the roster at the top of the newsletter. Thank you for attending conferences. 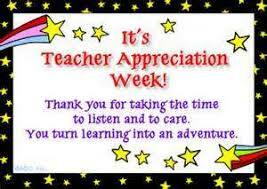 The teachers appreciate the individual time spent with you. The Board of Directors next meeting will be on Wednesday April 11th. First Friday will be held on Friday, May 4th. Cost is $20 per child. In June, First Friday will be on June 1st. Please pay prior to Friday night, so that we may pay the teachers in a timely manner. Just a reminder, if you cancel after signing up, you will still be responsible for First Friday fees. All is calm for the moment.